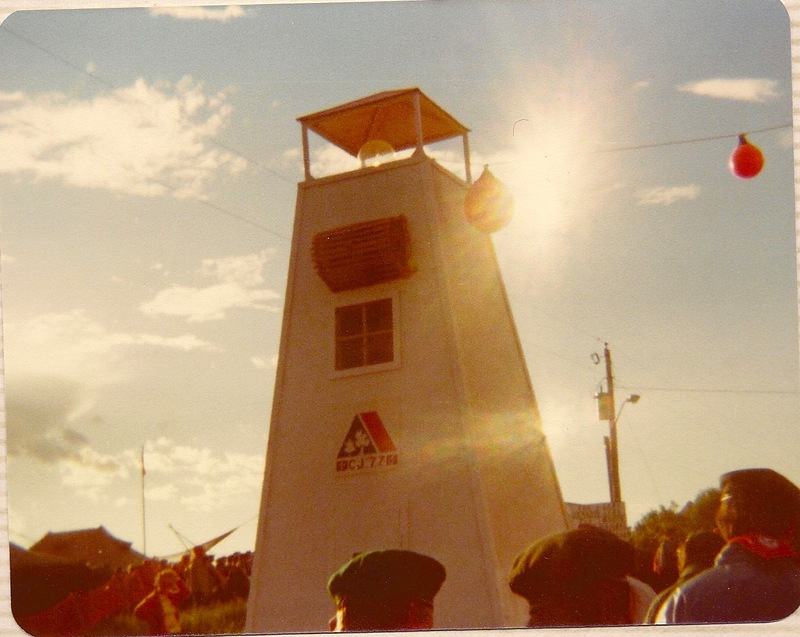 When Stompin’ Tom Connors died a week or so ago, I thought back to the time I saw him perform live at the Canadian Boy Scout Jamboree at Cabot Beach, Prince Edward Island in July of 1977. His abbreviated concert now seems to me to have been both apt and inappropriate: a contradiction that haunts most of Connors’s music, at least as I hear it. For me, it’s hard to listen to the thudding polka beat and reedy vocals of “The Ketchup Song” – for instance – and not be utterly embarrassed by the bathos and yet wholly enthralled by his strangely unshakable commitment to Canadian regional quiddities: Stompin’ Tom’s quirky lyrics voice a wryly ardent poetics of his, of our places, and of our brands. A duplicitous adolescent nationalism attaches itself to this mid-seventies moment in my own life, like an ideological push-me-pull-you, epitomized in my participation in Boy Scouts that summer. So, I have been clicking and surfing now for a few days off and on, but can’t find any electronic evidence that Stompin’ Tom actually performed at the jamboree. My memory might be faulty, sure, there’s always a chance of that, but I’m sure, sure it was also real, that this concert happened and that I was there, one among 16000 uniformed, preadolescent boys and their leaders. There must be others who remember him. As I recall things, he might have been the opening act for Anne Murray, who was an even bigger deal then than she might be now, and who had come to the jamboree to film part of an Anne Murray and Friends specialthat was to air on CBC television maybe that fall. 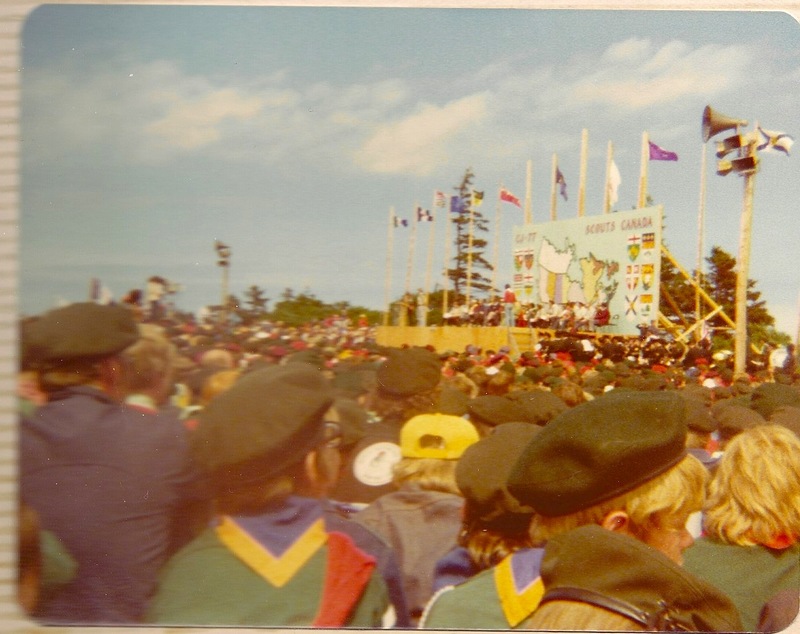 This was the first national – even international – scouting event of its kind in Canada since 1961, and the fourth jamboree ever to have taken place. (They now recur at four- to six- year intervals.) 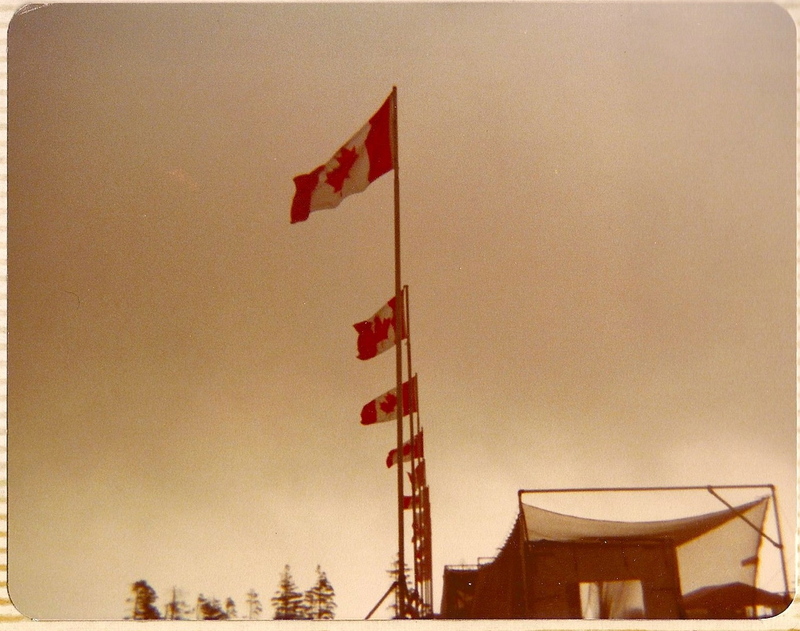 The tent-city of boys near the Atlantic seaboard represented a resurgence of idealistic, late colonial Canadian nationalism, ten years after the centennial, for which we were both constructive participants and captive audience. The backdrop of the main stage offered a map of the country, with the provinces coloured in pinks and greens reminiscent of the elementary school geography class wall-hangings we all knew by sight, but enlarged. 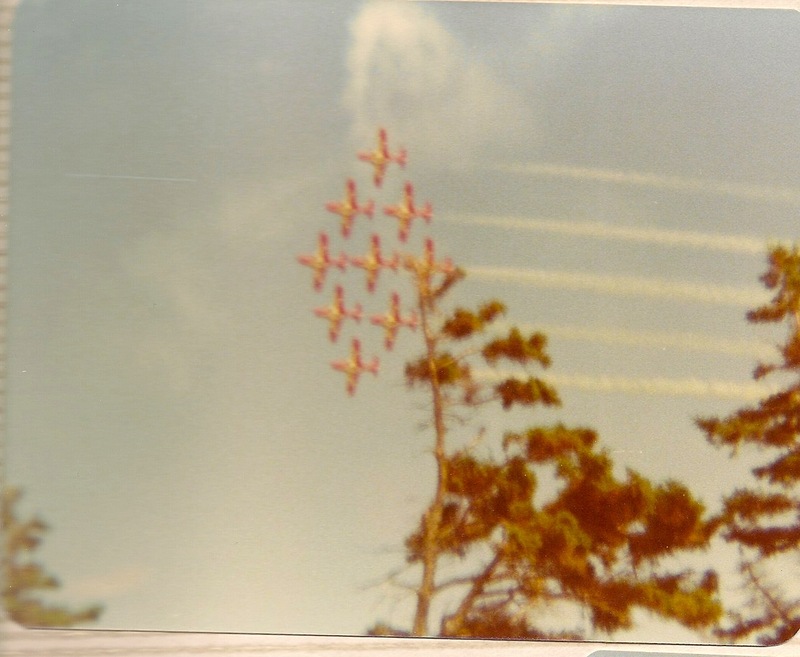 At the outdoor spectacle – which was staged like an oversized set of “campfire” songs – we heard Anne Murray and experienced a flyover by the Snowbirds jets (which now seems to me like a kind of parodically sentimentalized Canadian militarism). Snowbird flypast, over the ocean. Apparently, a kilted and uniformed Prince Charles – as the movement’s and the dominion’s “chief scout” – addressed us, although I can’t remember what he said or even that he was there. or performing, but I think it’s Prince Charles. (I was even interviewed on tv – it might have been ATV or CBC – as some sort of representative boy scout; I think my scoutmaster had some connections in Nova Scotia, and he was kind enough to get some of his scouts out into view. Sadly for me, there’s no tape I know of to prove that this happened, but my parents saw it, all five seconds of it.) But I do remember Stompin’ Tom. This must have been the biggest crowd he ever played to. He would have just turned forty, although he had, as he always did, the worn, pinched thin-lipped face of a perennially older man. He looked country. I don’t know how I can picture these details. I was pretty far back in the welter of boys, but I think I can see how he was dressed: black hat, peglegged black jeans, flowered polyester cowboy shirt, tall-heeled cowboy boots, belt with ornate silver buckle, bolo tie, black vest, maybe real leather maybe imitation leather. His own uniform. He played some of his PEI songs I’m certain, “Bud the Spud” and “Lester the Lobster.” We all knew these songs, knew the words, and sang along if we weren’t too ashamed to sing. They were stupid, they were beautiful, they were awful, they were great. I don’t know how it was that we had heard them all before often enough to know them, but it was true that we had. Small-town country radio was almost all there was where I came from. He also did “Sudbury Saturday Night,” I think, and some inappropriate drinking songs. He may not have realized he was playing to amassed twelve year olds. Then again, he might have. It was, the way I remember it, a short concert, which is why I think it may have been the opening act. For maybe 30 minutes, he really kicked the heck out of his plywood stomping board, his left leg flailing at the stage: Stompin’ Tom had still come stompin’. In the end, he hadn’t played enough to wear a hole in the board. So he and the emcee just picked it up, and he finished punching a hole through the middle by hand. It had to be done. There was one kid in my scout patrol called Huey. His father owned some construction business or other around town; he was a boy-child of privilege, as most of us were in that troop. As we walked back from the concert to our tents, and for the rest of the trip, he must have been cued by the music to ask everybody within earshot over and over again the same two questions about the current top-forty: “Do you like ‘Sir Duke’?” “Do you like Fleetwood Mac?” For days afterwards, he wouldn’t stop. “Do you like Fleetwood Mac?” “Do you like ‘Sir Duke’?” Now I couldn’t admit it, but I actually kind of liked Stompin’ Tom. Uncool as he was, and so far off the un-Canadian charts, he still kicked it around. The sound of Tom Connors from Skinner’s Pond had got into my head, a relentlessly nasal, driven throb that no needy kid’s voice could ever dislodge.